Technological advancements have made our lives much easier. These days, it is now easier to communicate and keep in touch with someone who is miles away from you. The possibilities do not end there, since you can now virtually see each other too --- everything is now a click away. Nowadays, dating and communication has become accessible for men and women who are separated by distance. Online dating sites have also gained popularity from all over the singles’ industry. A lot of singles who seek marriage are using these dating sites for their journey of finding everlasting love. In the Philippines, two of the most sought-after sites are Craigslist and Island Ladies. People who are on their way of finding everlasting love have turned to the idea of using these them. As a matter of fact, users have said that these two sites offer a lot of convenience to them in their pursuit for love. They both offer matchmaking services, but they also have a lot of differences. Craigslist is a classified advertisement website, which also offers online personals. It offers more than one service --- ranging from personals to forums. Unlike Island Ladies which is considered the best Philippine matchmaker agency. 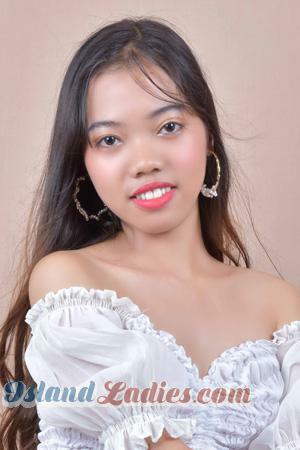 Its goal is to match foreign men with single Philippine women seeking marriage, thus considered to be the most comprehensive personals site among others. Craigslist is an online advertisement website which caters several sections, such as community posts, housing, jobs, items for sale, services, and discussion forums. It was founded in the year 1995 by Craig Newmark. Through the years, it has expanded by having sites in 70 different countries. More and more people explore this site, however, others have become victims of fake posts and scams from other users making it not user-friendly. The primary difference between Craigslist and Island Ladies is having a host company. For Craigslist, the absence of the host company does not assure the user the legitimacy of the personals on the site. In connection with this, no one mediates with the users’ activities. Aside from not having a host company, the personals on Craigslist are all random. In using this site, your security can be at high risk. In fact, Craigslist is involved in some reported incidents of kidnapping and sexual assaults that have grown in number over the years. Aside from the downsides of Craigslist that are already mentioned above, another disadvantage of using this site is the unverified personals. All the personals on the site are not required to link their accounts to any other social media accounts. It’s extremely likely that most of the profiles there are fake. Considering that it’s open and accessible to anyone, your security in meeting up with people from the site is very risky. In fact, it is reported that fake accounts are already crowding the site. As mentioned earlier, several incidents involving kidnapping, sexual assaults, fraud, and the like have been reported in the past. Island Ladies is a host company and is part of the most respected foreign singles introduction and tour services in the world today. The company is considered to be a pioneer in the matchmaking industry that was founded in 1995. Through the years, it has expanded and now has several branches across the globe, including Asia, Europe, and Latin America. The company focuses on its goal in matching single Filipino ladies who seek marriage with foreign men. It’s a platform that bridges the distance for interracial relationships. The company’s services include singles’ tour, so the clients can roam around the city within the company’s scope. This is an opportunity for clients to meet one another and spend time together, in the hopes of finding their match during the tour. The clients’ security is one of their concerns, which is why a host company is present to mediate these social events, including the romance and singles’ tours. The company’s services also include transportation, accommodations, and even the clients’ meals. Island Ladies is a host company that mediates the clients’ activities within the site. In this way, the clients have assurance that there is security and privacy while using the site. Furthermore, important details about the company’s profile are all in the site to ensure that our clients are at ease, while availing the services that we offer. Island Ladies also makes sure to prevent any unfavorable incidents that may occur while using the site. In Island Ladies, the clients’ security and privacy are our top priorities. Thus, all the personals and profiles that you browse through are all verified by our staff members. These women are all screened and monitored by our staff to ensure their authenticity. Scams and questionable personals are problems that have never been encountered by our clients because we always ensure that the women you see in the picture in their profiles are the same women whom you will meet during meetups. Island ladies offers singles’ tour services for men who wish to meet Philippine women seeking marriage on the site. The meetups among the clients are monitored by our staff members to ensure every client’s safety. The company makes arrangements with the schedule of the singles’ tour and all the details of its events, including the meetups. Throughout the tour, the company has approachable staff who will assist the clients. These staff members will be the one to cater to the needs of the clients, while spending a good time during the tour. Not just that, the company also has professional translators who will assist the male and female clients, to make sure the language barrier won’t be an issue. Mentioned above are all the differences between Island Ladies and Craigslist. 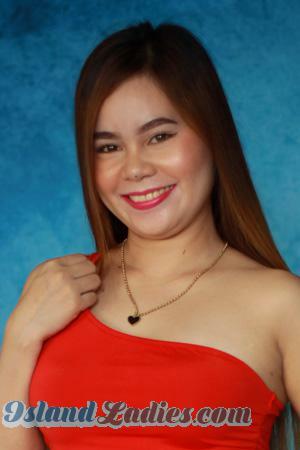 Island Ladies is solely a matchmaking site focused on helping men meet Philippine women seeking for marriage; thus it provides comprehensive services to its clients while ensuring their security and privacy. On the contrary, Craigslist is a merely an online advertisement company, which also offers personals as one of its many services. Join our singles’ tour to the Philippines and meet island ladies from the Philippines by signing up on our website. Don’t miss the opportunity to meet your Philippine bride on our socials, by checking out our tour schedule here. Join us now and experience the unconditional love an island lady is capable of giving.